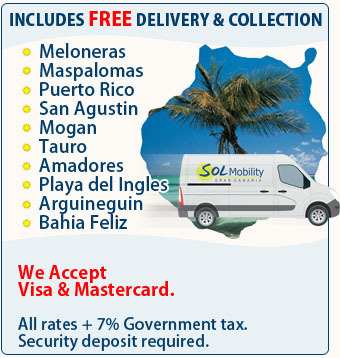 Sol Mobility S.L Offical Site - Electric Wheelchair Hire Gran Canaria. 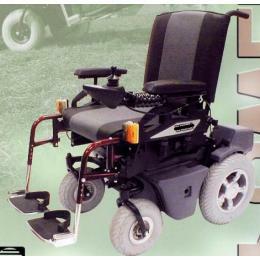 The Standard Electric Wheelchair is manufactured from epoxy coated steel and has an easy to use joystick control operating two motors fitted to the rear wheels allowing smooth and positive movement of the wheelchair. Comes complete with a battery charger for overnight charging. Left or Right Hand Joy stick control. Optional elevating leg rest available. 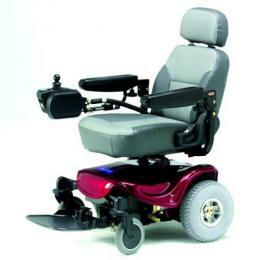 The Rear Wheel Power Chair is the ultimate combination of style and comfort. 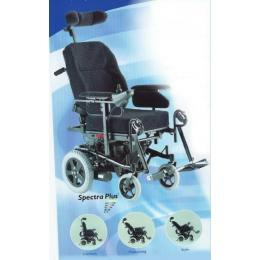 With direct drive rear wheels and electro magnetic brake it provides a safe and comfortable ride. Best suited to indoor environments such as hotels. Warning lights show you the current state of your batteries and a free wheeling device allows you to push the chair if required. Weight - 82kgs (180lbs) . Powerful motors and large pneumatic, shock-absorbing front and rear tyres ensure a comfortable ride. With a manual tilt in space seating function your posture, stability and comfort is ensured. 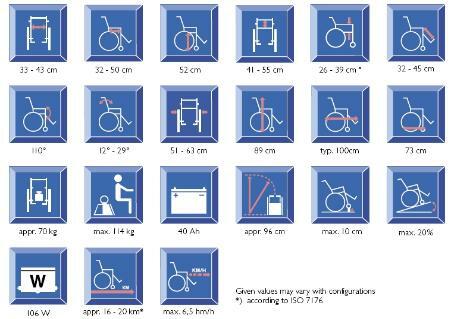 All these innovative features make you appreciate why the Power Chair is the ideal wheelchair both indoors and out with built in ruggedness and luxury. Choice of left or right hand control mounting. Height adjustable armrests for user comfort. 80° swing-away footrests making forward transfers easy. 14" pneumatic rear wheels for a softer ride. Standard Armrest (height adjustable) universal pad. Comes complete with a battery charger for overnight charging. The Comfort Plus is a top of the range fully adjustable wheelchair that offers a wide choice of seating positions including a powered "Tilt in Space" function. This allows the whole chair seat and back to be tilted automatically at the press of a button on the control. The angle of the seat back can also be power adjusted independently of the seat base, for optimum posture control. All these features including manually raised and adjustable leg elevators with padded fittings are included and to ensure maximum support and comfort. 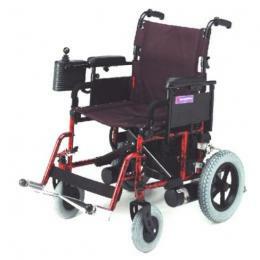 This wheelchair is of particular benefit to users with MS, MD MND Spinal Injury, Spinal/Brain Injury, CP and other non specific motor or neurological disorders. Seat width 16.5", seat depth (front to back) 21", seat back is 22" from top of cushion to top of backrest (not including the headrest). Comes complete with a battery charger for overnight charging. 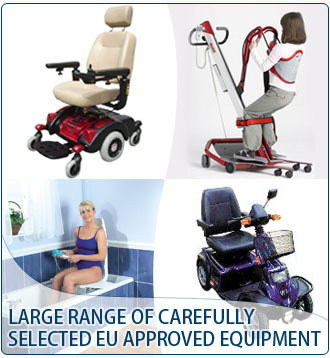 Available as an option the chair can be fitted with dual controls, one set for the user and a second set located behind the backrest for the carer. 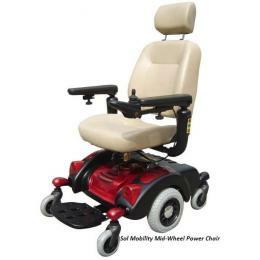 The Mid Wheel Power Chair is the ultimate combination of style and comfort. With direct drive center wheels and electro magnetic brake it provides a safe and comfortable ride both indoors and outdoors. Warning lights show you the current state of your batteries and a free wheeling device allows you to push the chair if required. Please specify Left or Right hand control when ordering.